TSiBA is aware that access to tertiary education is hampered by many factors including the quality of secondary education and financial hurdles. For this reason, we offer full tuition scholarships to study our full time bridging programmes, namely the Certificate in Practical Business Administration (available at TSiBA Eden only) and the Higher Certificate in Business Administration (currently offered at both campuses). Further scholarships are awarded on a sliding scale to pursue our accredited Bachelor of Business Administration degree in Entrepreneurial Leadership, which is offered at TSiBA Cape Town only. Download an application form by clicking on TSiBA Cape Town Application Form or TSiBA Eden Application Form. It is very important that you complete every section of the form and include all of the attachments that are required. Once you have submitted a completed application from to one of our campuses, by post or by hand (please note that faxes are not accepted), your application number will be sms’ed. Please save this number and use it in all your correspondence with TSiBA. TSiBA hosts briefing sessions for all applicants on our campuses (dates will be communicated via sms closer to the date). We explain the course that we offer and the process of studying at TSiBA and after that all applicants will write entrance tests. These will include the TSiBA Maths test, which is not designed to see how good you are at Mathematics: It is a very basic numeracy test to ensure that you are able to perform the most fundamental numerical calculations which are imperative if you want to succeed at TSiBA. We also make use of the National Benchmark Tests (NBT). Step 4. Attend an interview to assess entrepreneurial and leadership achievements and attitude. All applicants who do well in the tests are invited to an interview with TSiBA staff. This interview enables us to assess your compatibility with the TSiBA culture. It also helps you to assess how TSiBA operates and to ask any questions that may have arisen during the process to this point. If your interview goes well, and you have provided the necessary documentation to TSiBA, you will receive notice of conditional acceptance. NB: Foreign students and those who have applied for Recognition of Prior Learning will only be invited to an interview if all necessary documentation (as per the application form and guidelines provided) has been submitted. For more information about these requirements please read below. Based on your interview score, TSiBA will make a decision about your acceptance. Applicants who do well in the test and the interview will receive a notice of conditional acceptance. Please note that a final offer can only be made once we have received a certified copy of your matric results. Applicants who have completed matric will be asked to provide a certified copy at this point and TSiBA’s application decision will factor your results in. Students who are still busy with matric will only receive a final offer once a certified copy of their final results has been submitted to TSiBA and their marks have been considered. The final step in our selection process is the Orientation Camp. After registration in late January 2012, you will be expected to attend a 4-day residential camp. Participation and attendance are compulsory. If your conduct and teamwork at this camp are good, you will be awarded a full tuition scholarship to study at TSiBA. NB: Direct access into the BBA degree is available to students who performed well Matric, in the TSiBA Maths test and the National Benchmark Tests (NBT). These students will be contacted directly by TSiBA after Step 3 and invited to sit for additional tests. 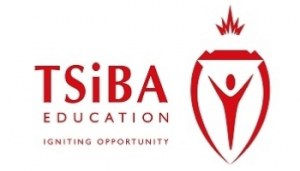 NB: It is your responsibility to contact TSiBA Education to follow up on the progress of your application. You can do this by emailing [email protected] (Cape Town queries) or [email protected] (Eden queries). Please include your application number in all correspondence with us. • You are over the age of 25 at the time of application. • You are in possession of a National Senior Certificate or equivalent (in normal South African terms “you do not have matric”). • You wish to study one of TSiBA’s full time programmes. • You have gained relevant experience in the workplace or by setting up you own business initiative. • Writing a motivational letter of no more than 300 words stating why they should be accepted. • Proof of basic scholastic skills in fundamental mathematics and language. • Proof of involvement in community involvement. • Proof either of entrepreneurial endeavours or prior learning/ experience in the workplace. The Portfolio of Evidence will be reviewed by an RPL panel comprised of staff members who will determine the outcome of the application. It is within the RPL panel’s mandate to request further evidence or assessments if they are not satisfied with the application. Applicants who have applied for PRL must also write the relevant entrance tests and follow the standard admissions procedure, along with applicants who do have matric. The RPL panel will also take into consideration whether you have an acceptable range in the entrance tests compared to your cohort of applicants who have a National Senior Certificate or equivalent. Non-South African students who wish to apply at TSiBA Education must submit a completed application form to TSiBA and follow the same procedure (writing entrance tests, etc.) as the South African applicants. At the same time you must apply with SAQA to have your results evaluated. • Proof that you have a valid study permit / permanent residency permit. Please note: TSiBA Education is not permitted to register you until you have produced your study permit. If you are a Refugee Applicant you must be in possession of a valid Section 41 permit / Refugee identity document which grants you permission to study.